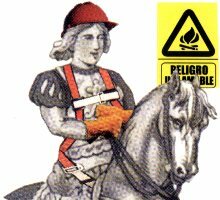 Health & Safety playing cards designed as a teaching aid to improve safety standards in the workplace The court cards show personnel demonstrating correct Health & Safety procedure and all cards have captions relating to workplace safety. 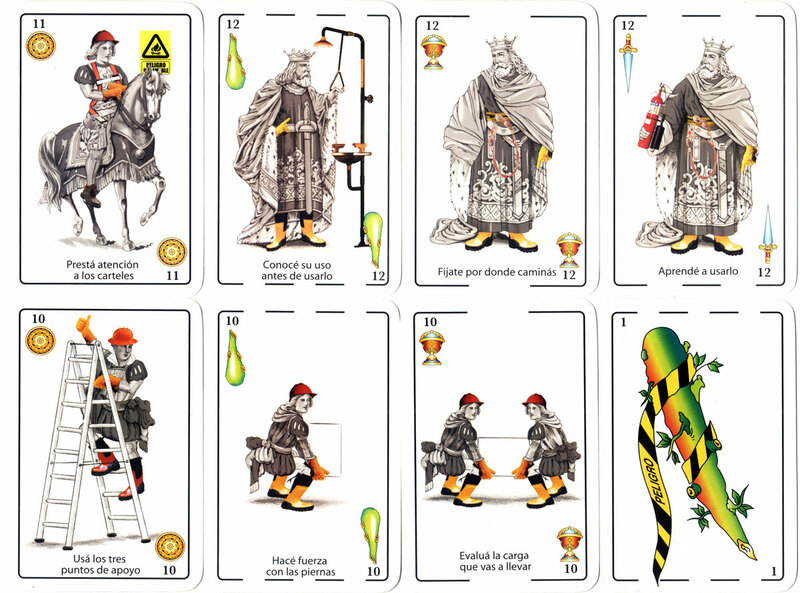 The underlying design is a standard Castilian-style deck with 'Health & Safety' features superimposed. 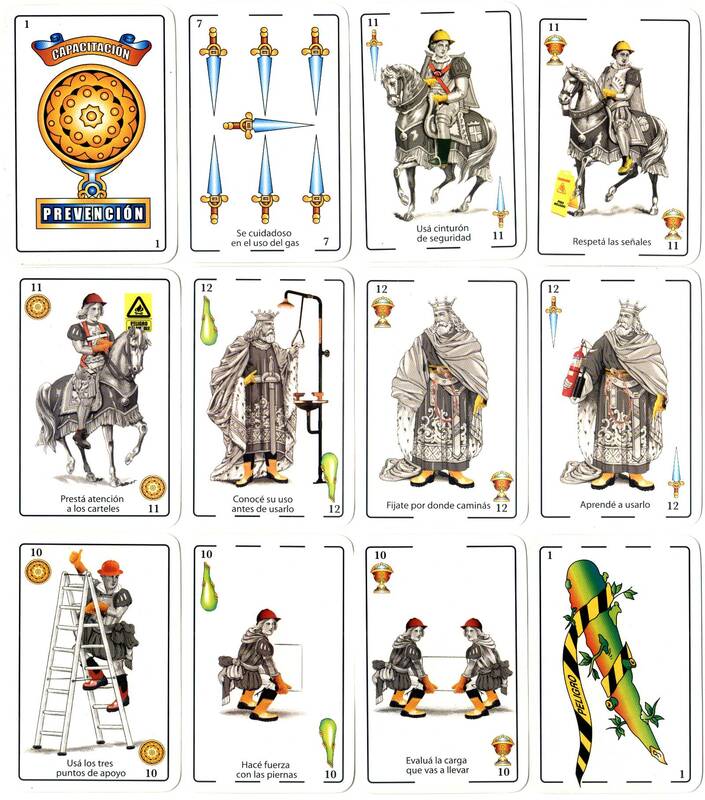 Above: 'Capacitación Prevención' - 'Health & Safety' Spanish-suited playing cards promoting the skills necessary for Excellence in the workplace. 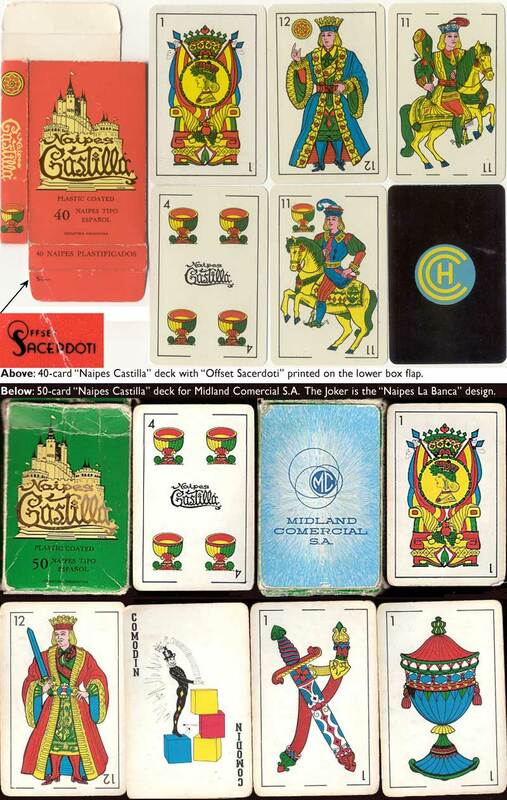 The underlying design is a Castilian-style deck with special 'Health & Safety' features superimposed. 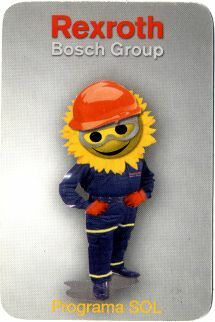 Printed for Bosch Rexroth by an anonymous manufacturer, 40 cards in box.